Thanks to the surrounding community of the Highlands park area for all your valuable time and input on the development of this upcoming park. 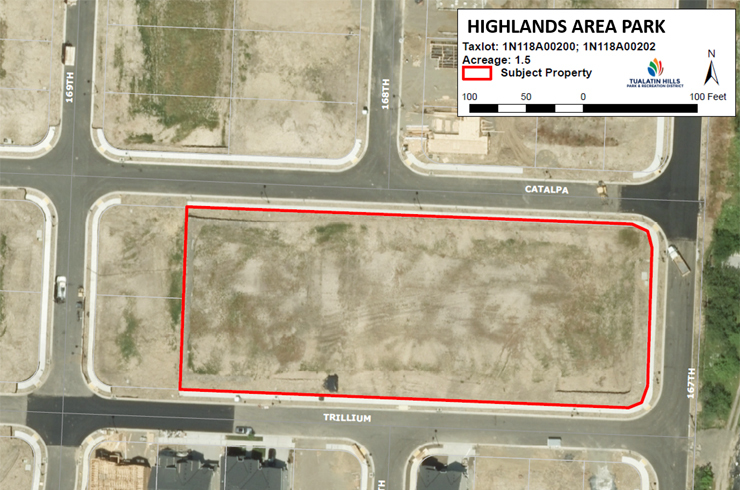 Over the spring and summer of 2019, THPRD will continue evaluating the current design and the construction costs for the Highlands area park. Every effort will be made to provide the best amenities and play design possible with the given budget for Phase 1 of development. 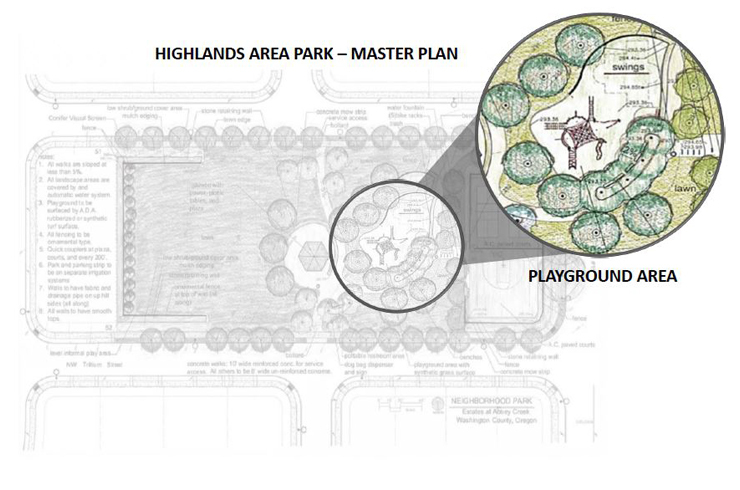 While park plans are subject to change based on funding and construction variables, THPRD expects to have more finalized design plans for Highlands area parks by the end of spring 2019. Construction is anticipated for the summer 2020. To learn more about the community engagement for this park, please see the Community Engagement Summary.